The scene is set for another nail-biting leg of top sport as the Global Champions League jets into Paris for round 10th of what’s turning into an exhiliarating and fast-paced Championship. The final competition of the three day festival of show jumping in Paris, the League will kick off at 18:15 local time, with the 12 teams vying for their share of the 200,000 euro prize purse. Current GCL Ranking leaders the Monaco Aces will be looking to capitalise on their prime position with 217 points already under their belt. Following their home event last weekend, the team will field a fresh team of Maikel van der Vleuten and Leopold van Asten, the experienced Dutch duo who will look to take up the reins in Paris. Breathing down their next are Valkenswaard United, just three points away on 214 overall, and with John Whitaker back at the helm with the young star Alberto Zorzi, they will be ones to watch this coming Sunday. On 200 points sit third place team, the Rome Gladiators, who will see the speedy Laura Renwick team up with Marlon Zanotelli, another podium claiming combination who will be looking to topple the two ahead off their top spots. Just four points away from them are the Antwerp Diamonds, who this weekend will see the formidable team of Harrie Smolders and Audrey Coulter - a combination who have never finished lower than third bar once when combined. 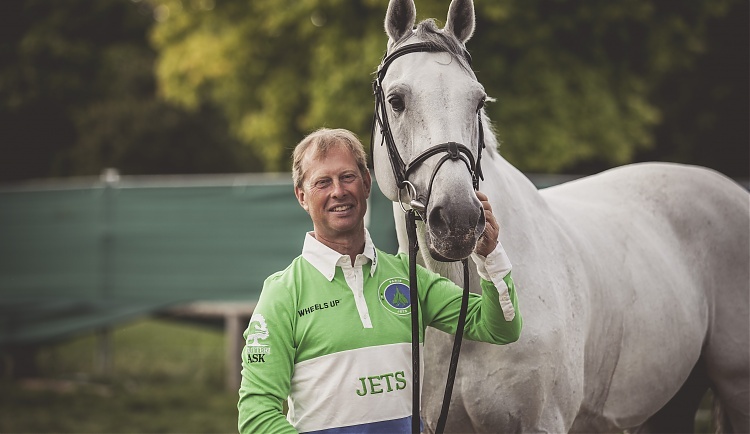 All eyes will be on home team, the Paris Jets, sponsored by Wheels Up, with Olympic medallist Rolf-Göran Bengtsson teaming up with young talent Olivier Philippaerts for this crucial round of competition. Wearing their green and blue colours, the team will be looking for a strong showing on home turf, with the support of the local crowd undoubtably a boost for the show jumping stars. The Global Champions League will take place on 3rd of July 2016 on the Plaine de Jeux de Bagatelle in the 16th arrondissement, an area of more than 3 hectares of greenery in Paris. Entertainment, including a special 'Good Luck for Rio' show on Sunday, will take place every day, ensuring there will be something for all the family, with a festival feel for spectators. On offer will be a live band, shows, art exhibitions, a food village with a wide selection of refreshments, the Longines merry-go-round plus a pony rides paddock for children. In partnership with the Mayor of Paris, the event will be completely free to the public once more, with a larger area and more grandstand space to welcome spectators and fans. Miami Glory will field an all-American combination of Georgina Bloomberg and Kimberly Prince, another formidable duo who will be hungry for a podium this weekend. The experience heavy-weights Roger-Yves Bost and Marco Kutscher will combine again for the Cannes Stars in this leg of the League, and Lauren Hough will compete alongside Paris Sellon for the Vienna Eagles. The Shanghai Swans will see it’s young riders team up once more, with Jessica Springsteen and Alexandra Thornton taking up the fight for the team this Sunday. Athina Onassis will join forces with Pedro Veniss for Madrid in Motion and the Cascais Charms will see a new combination of David Will team up with Philip Houston for the Paris leg of the League. Sheikh Ali Bin Khalid Al Thani will return to the League, this time teaming up with the experienced Bassem Hassan Mohammed as the battle for the Championship title picks up pace.